Not surprisingly, betting is what drives the sport of horse racing. The thrill you get when your horse hits the finish line in front is second to none. 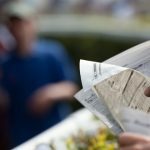 Below, we take a look at the most popular horse racing wagers, in the most basic of details, for you to begin to learn and experience that thrill firsthand. The easiest wager one can place on horse racing is the win bet and, thanks to its simplicity, it is the most popular among horse racing fans. Wager on a horse to Win. If he or she wins the race, you collect the payoff based on a $2 win mutual. It’s that simple. The hard part, of course, is uncovering the horse that will win. The place bet is wagering on a horse to finish no worse than second, and the show bet is wagering on a horse to finish no worse than third. There is often confusion among newbies, believing that a horse must finish third in order to cash on the show bet. Many a ticket has been discarded because of that mistake. This is the simplest type of exotic wager, and probably the oldest. The Daily Double is combining the winners of two consecutive races. If your wager includes both winners, you cash. The base wager is either $1.00 or $2.00 depending on the host track. The exacta is picking the exact order of the top two finishers in a race. You can play the exact straight or you can box the wager, so that if the horses finish in any order, one-two, then you cash. 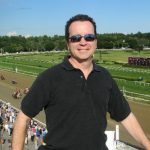 You can include as many horses as you wish in your exacta box, but the cost of the wager goes up exponentially and your chances of turning a profit diminish greatly. The base exacta wager is usually $1.00. The trifecta is picking the exact order of the top three finishers in a race. You can play the trifecta straight or you can box the wager, so that if the horses finish in any order, one-two-three, then you cash. You can include as many horses as you wish in your trifecta box, but the cost of the wager goes up exponentially. The base wager is usually either $0.50 or $1.00. The Superfecta is picking the exact order of the top four finishers in a race. You can play this quad bet straight or you can box the wager, so that if the horses finish in any order, one-two-three-four, then you cash. Like the exacta and trifecta, you can include as many horses as you wish in your superfecta box, but the cost of the wager goes up exponentially. At many tracks throughout the country, the base minimum wager is only $0.10 and that makes the bet affordable for the recreational horseplayer. The industry has added a lot of new bets over the past few years, and we’ll take a look at them in an upcoming primer.